The current generation of consoles has become host to a constant barrage of remastered, remade, and upscaled games from the 1990s and beyond. Classics such as Crash Bandicoot, BioShock, Final Fantasy and all those Wii U titles that never sold well because the console was a bomb are offering new players a way to experience the classics that otherwise would be inaccessible due to the game and hardware being long out of print. 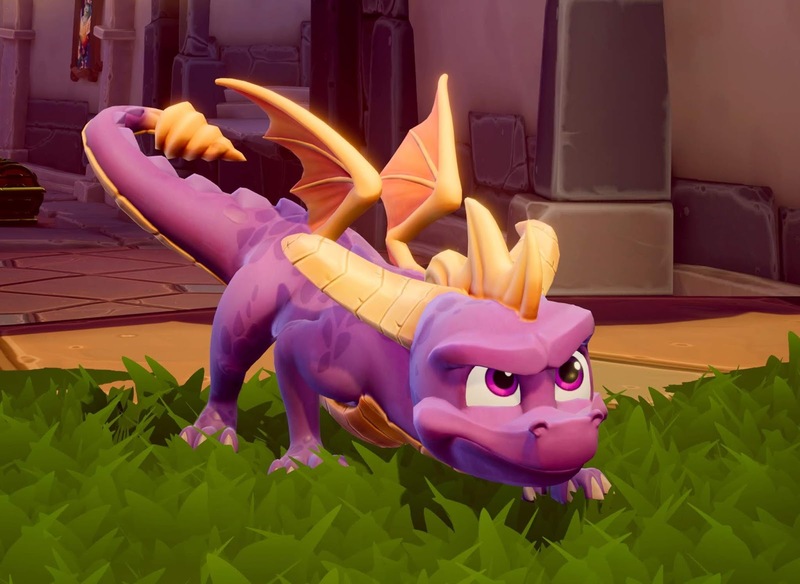 After the success of the Crash Bandicoot N. Sane Trilogy, it made sense that Activision would also give Spyro the Dragon the exact same treatment. Sadly, for all the nostalgia that Spyro enjoys from people my age, it is a series of PlayStation One titles that simply didn’t age as well as many believe. The Spyro series was originally created by Ratchet & Clank and Resistance veterans Insomniac Games, and was created as a way to attract kids to a console that seemingly went for the teenage/young adult market while Nintendo still catered to families and children with its Nintendo 64 console. It definitely worked in Insomniac’s favour, as the first game was a hit and the developer was able to develop two more sequels before the rights were purchased by Sierra Entertainment and Insomniac moved onto Ratchet & Clank. 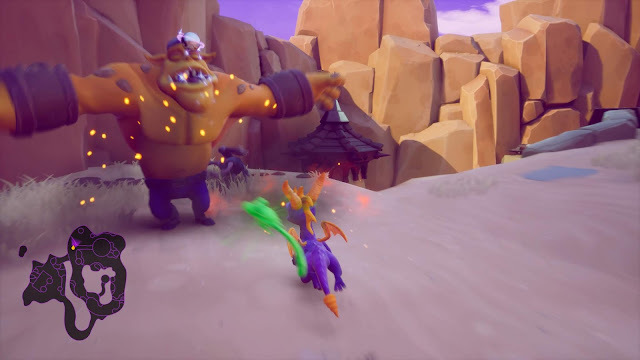 The brand new Reignited Trilogy was developed by Toys for Bob, most known for its Skylanders series. If you have played any of the Skylanders games, you will instantly recognise the influence that the Toys for Bob team has put into the visuals. Spyro does look as though he was ripped straight out of the cover art for the original game, while every enemy and NPC within the game look like something you’d encounter in a Skylanders title. This isn’t a bad thing by any means, as it has similar aesthetics to a 90’s Saturday morning Disney cartoon. There has clearly been a lot of work behind making the characters and landscapes as visually appealing as possible. There are a lot of quirky animations that enemies do, the type that you won’t see if you’re not paying close attention. There is a good attention to detail contained within the trilogy. 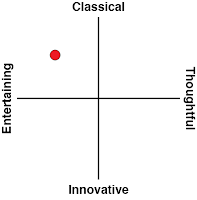 The story of each is intended to be very simple in nature, so that young children can follow along with ease. The first Spyro has an orc named Gnasty Gnorc who is watching TV, and sees a number of dragons being interviewed. One of the dragons calls him ugly, so he shoots lasers out of his wand and turns them all to crystal, except Spyro. Ridiculous, sure, but that was the norm for that time, and it was able to set the scene in 30 seconds before instantly throwing you into the action. The second game has Spyro summoned to another realm in order to defeat Ripto, a being that was also summoned to that realm, but decided to take over it for himself. The third shows Spyro and friends celebrating the “Year of the Dragon”, where new dragon eggs are brought to the realm, they get stolen, and it’s up to Spyro to recover them. While it's obvious that none of these plots are either classics nor original, even for their time, they do hit the mission brief of giving every player, regardless of age, something they can follow along with. With many games from the PlayStation One era, the source code has been lost, making it difficult to rewrite these games with accuracy. As an example, there has been much written about how this is the main reason that Final Fantasy VIII hasn’t seen a re-release on current gen consoles, even though you can play VII and IX on a thousand different devices. 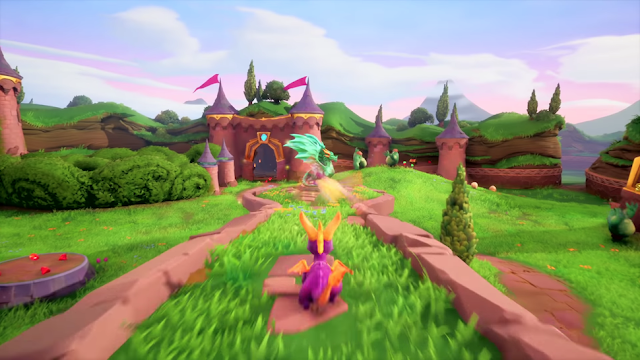 The team at Toys for Bob took a unique route in order to recreate the gameplay of the Spyro games. The developers took a PlayStation emulator, and then built their own program to read the inputs made into the emulator, as well as the actions and reactions of the objects in the game. The team then compiled all this data in order to recreate the actual gameplay from the original three Spyro games to make this as accurate as humanly possible. Amazingly, this has worked really well, with all three games retaining the gameplay of the classics while running with a new, updated graphic and sound scheme. As well as this method has worked in Toys for Bob’s favour, it is also a detriment to the trilogy. The game is unfortunately plagued with gameplay issues that most would wish stayed back in 1998. A small tap of the thumb stick sends Spyro skipping along further than the input, and unless you manually pull the camera angle behind Spyro, utilising the charge and glide moves pulls the camera back for you, except with your original directional input. This caused a lot of frustration, as I watched Spyro hurtle into the unknown too many times to count. There are many objects to find in the games that require pinpoint platforming accuracy, and the twenty-year old gameplay just can’t keep up a lot of the time. The other part of the Spyro series that hasn’t aged well is the design of the worlds. There are a lot of items and collectibles to track down in the Spyro series, and most worlds give off the impression that they are wide open and begging to be explored because those items are scattered everywhere. The reality is that due to the power constraints of the original PlayStation, the worlds are very closed in and maze-like in nature. This was most likely done in order to prevent the PlayStation from having to render too much at once, and it’s hard to fault Toys for Bob for simply recreating these levels. It's nostalgic, too, but there are a lot of elements in terms of design and structure from early video games that are no longer used for a reason. What has had an update however is both the soundtrack and the voices. 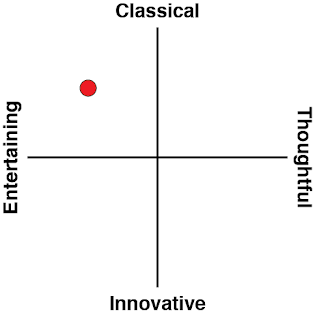 The original music remains intact as an option, but the dynamic soundtrack that has been redone has a lot of oomph in it. 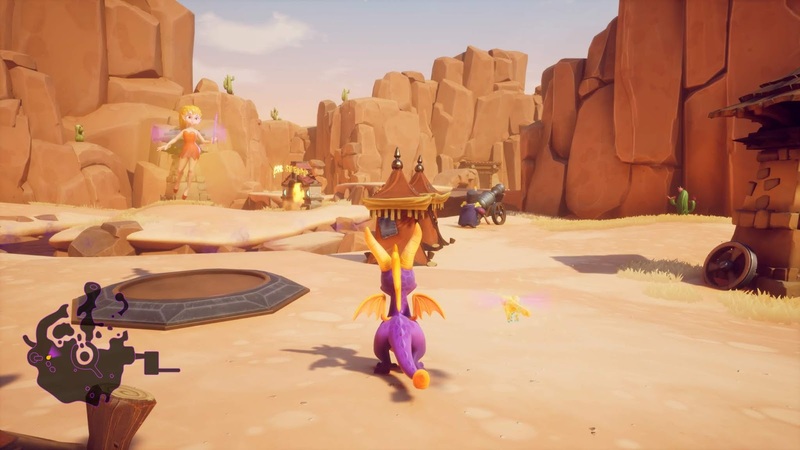 The music can often make or break a game, and it truly is the saving grace for the Spyro Reignited Trilogy. 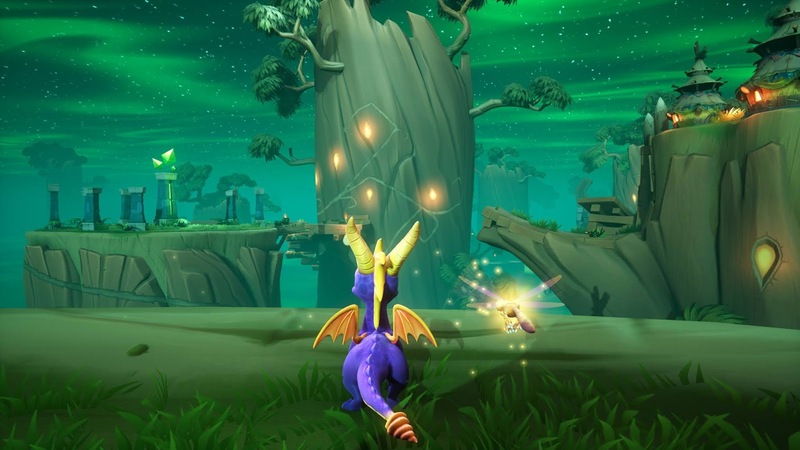 The pounding of drums and the jungle style beats sound brilliant, and the dynamic nature of the soundtrack that makes the sounds change depending on where Spyro is makes it feel more personal to Spyro’s own journey. The voice acting has been updated as well, though only a handful from the original game made it back to re-record their lines, the new cast do a good job of bringing the characters a sense of liveliness and humour that is of a much higher standard than the original games. There is an aspect of 1998 that I do wish more developers tried to emulate. That's the length of each title. Where modern projects - particularly those in major franchises - seem to consider 20 hours a baseline benchmark, each of the three titles in this collection requires between seven to nine hours for a 100 per cent of the items and treasures. Being able to blasting through a quick game of Spyro in between other things - or just finish in a reasonable time frame when work and life makes it hard to commit to the mammoth modern blockbusters is refreshing. Many will scoff at the lack of content, but I for one wish that this was still the standard. Although Spyro the Dragon and its subsequent two sequels haven’t aged as well as one would hope, Toys for Bob has done a good effort to put out a remaster that does the nostalgia justice. Control and design issues were part and parcel to 3D platformers from the era, but while can't be celebrated except when viewed through an incredibly thick pair of rose-tinted glasses, the overall series remains charming, delightful, and well worth checking out for interest's sake, if nothing else.